Appcito CAFE (Cloud Application Front End) is an easy-to-deploy, unified and cloud-native service enabling cloud application teams to select and deploy enterprise-grade L4 to L7 application network services. The multi-cloud CAFE service is available for the OpenStack open-source cloud computing software platform. 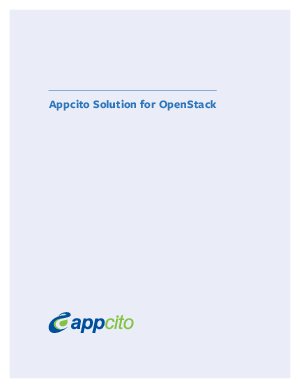 OpenStack is a multivendor ecosystem used to deploy Infrastructure-as-a-Service (IaaS) solutions. It allows users to bring compute, storage, and networking resources into private and public clouds through a set of open APIs.